…At the Royal Mint. 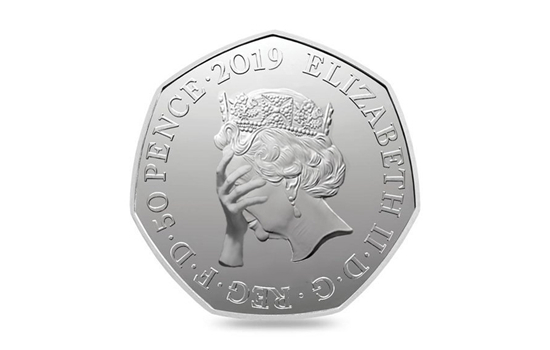 Chancellor Philip Hammond had previously confirmed a commemorative 50p coin to mark the UK’s departure from the EU, in last year’s Autumn Budget. The original design, featured the phrase “peace, prosperity and friendship with all nations”, as well as the date of 29th March. Whilst no cost has been borne by taxpayers, it demonstrates further confusion within the country and leaves some feeling short changed by the Brexit debacle. Unsubstantiated rumours of a new ‘united’ Kingdom commemorative 50p coin have been scotched. Apparently, the wording and design couldn’t be agreed between the home nations! Global markets ended the first quarter of 2019 in re-assuring fashion thanks to encouraging reports from Beijing, which raised hopes of a constructive outcome to US and China trade discussions. This follows the previous week’s wobble as markets reacted to the inversion of the US Treasury yield curve which, has previously been interpreted as a precursor to a US recession. However, reflecting the rapid change in outlook, the US futures market is predicting a 78% chance of an interest rate cut by the Federal reserve by the end of 2019. Despite this, the second quarter has also started positively helped by encouraging economic data from China. Focus will remain on regional ‘flash’ economic activity indicators and company results for any signs of further economic slowdown, stabilisation or improvement. The cautious mood of the previous week, was reflected by Germany issuing new government Bunds at a negative yield for the first time since 2016. The market mood, prior to the end of last week, was not helped by comments from the deputy director of the International Monetary Fund (IMF). He confirmed what markets already know, which is that central banks and governments do not have the tools to combat another sharp economic shock. However, we do know some countries are undertaking stimulus measures such as China, while in the UK the Chancellor has amassed a Brexit ‘war chest’ for infrastructure projects. In the US, were President Trump to be re-elected, then looking beyond 2020, he may well seek to implement his plan to upgrade America’s ageing public infrastructure. In yet another humiliation, PM Theresa May lost a vote on who controls the parliamentary timetable with one senior, and two junior ministers siding with some 30 Conservative rebels. A series of indicative votes by MPs did not provide a majority for any of the suggested options, though the desire to enter into a customs union with the EU was rejected only very narrowly. PM Theresa May offered to resign in a final plea for Conservative rebel backing for her Brexit deal but the DUP said it would not support her withdrawal deal. The Conservative cabinet is now reported to be split over the customs union plan, with ministers threatening to quit. This week will see a fresh push for Commons consensus. Sterling remained around $1.31, as global currency traders attempted to work out the implications of these developments with a general election or hard Brexit still a possibility. In the UK, the CBI reported retail sales volumes dropped sharply in March, the fastest contraction in seventeen-months, but did say the figures had been possibly distorted by the later timing of Easter this year. Typical council tax bills in England are set to rise by 4.7% in April, the second biggest increase in a decade. In Europe, following last week’s weak manufacturing activity data, Germany’s key Ifo business sentiment survey finally broke a run of six-monthly declines with an unexpected increase in the March reading, albeit highlighting the ongoing risk to the German economy from Brexit. In the US, the Mueller report into the US election was a non-event for financial markets. Housing starts fell more sharply than expected in February although bad weather was a contributory factor. US consumer confidence saw February’s rebound in sentiment reverse in March, with the reading coming in below market expectations. In Japan, minutes from the central bank’s latest meeting showed members increasingly discussing the need to introduce additional policy stimulus in the face of a weaker global economy. In China, industrial sector profits experienced the biggest monthly decline since at least 2011, with the automotive, steel and chemical sectors notably weak. However, manufacturing activity indicators improved in March, with an improvement in new orders as well as construction. Despite concerns about global economic growth and higher US inventories, Brent oil remained around $67 supported by OPEC production cuts and US sanctions against Iran and Venezuela. Finally, scientists have discovered, from a study of the DNA of 286,000 Britons, that the genetic make-up of those earning over £100,000 differed from those on low incomes. Apparently, wealth and success may be down to 24 ‘golden genes’. Brings a whole new meaning to 24 Carat gold!